Sunderland squad numbers announced today, who gets what & which shirts are still to be claimed? Sunderland will announce which players get which shirt numbers later today. Sunderland will announce their squad numbers for the 2018-19 season later today. With a whole host of shirts up for grabs and a raft of new players through the door, there's some key numbers up for grabs. No. 1 Jason Steele wore the number one jersey last season but has since departed for Brighton. A straight fight between Robbin Ruiter and new signing Jon McLaughlin this one. No. 2 Another one vacant, Billy Jones had held down the number two shirt since 2014 before being released at the end of last season. Adam Matthews is next in line for the traditional right-back jersey. No. 3 Interesting one this - Bryan Oviedo has owned the number three shirt since he replaced Patrick van Aanholt back in January 2017. The Costa Rican international is still expected to depart the Stadium of Light before European transfer windows close meaning new signing Reece James could bag it. James is likely to miss the start of the season. Could Oviedo still stay and will he take to the field against Charlton wearing No 3? No. 4 & 5 A whole new central defensive pairing is set to emerge at Sunderland this season. Glenn Loovens and Jack Baldwin have joined this summer and look set to replace Papy Djilobodji and Paddy McNair at numbers four and five. No. 7 Worn by Seb Larsson for donkeys years before he finally left last summer, Sunderland's number seven shirt is up for grabs. Will Like O'Nein be handed number 07? It would be class to see him be handed the "09" shirt purely for the weekly LOL value when he takes to the pitch but that's unlikely. No. 8 The dreaded "Jack Rodwell shirt", number eight had been worn by the now departed Rodders since 2014/15. By the way, Lee Cattermole has worn number six during most of his Sunderland career, will Catts be handed his "usual" or is he really on the brink of signing for Wigan? No. 9 The Mags may have trademarked the phrase "famous number nine", but this one has a big VACANCY sign hanging above it at Sunderland still. Will Charlie Wyke land today in time to bag it or will Josh Maja be rewarded with his first "proper" senior shirt? James Vaughan wore No 9 for the first part of last season. Chris Maguire and Jerome Sinclair will be fancying one of the traditional forward's jerseys too. No. 10 Do Sunderland have a number ten? 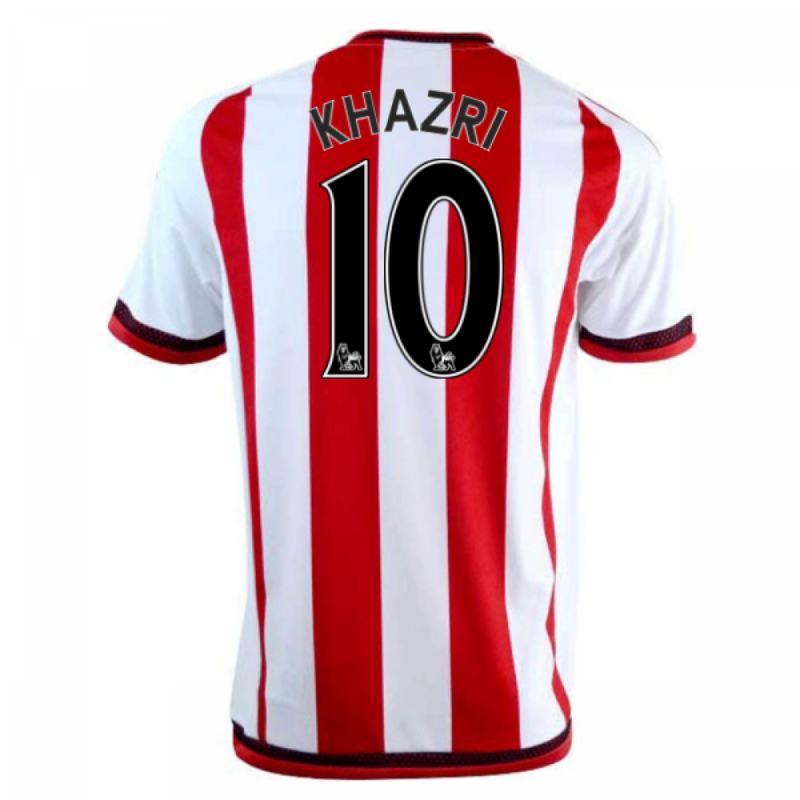 Wahbi Khazri has been the owner of this one and has bagged it at his new club Saint-Etienne. It's up for grabs but this might be another shirt the Black Cats have still to recruit into. Chris Maguire has worn "10" a few times for Oxford and Sheffield Wednesday. Remember when Sunderland shirts had a nice striped back? Seems like ages ago. No. 11 The classic winger jersey was handed to striker Lewis Grabban last summer. The previous season Sunderland had no number eleven after Adnan Januazaj declined it having noted he shared his inititals with Adam Johnson who had previously worn it. The Black Cats could still do with a proper winger before the transfer window shuts.